Email challenges are an amazing way to connect with our audiences. These are great, but they're still very one-directional. Sometimes they involve a community aspect, like joining a Facebook group. But they present a hurdle to join and participate, and the groups need constant moderation. 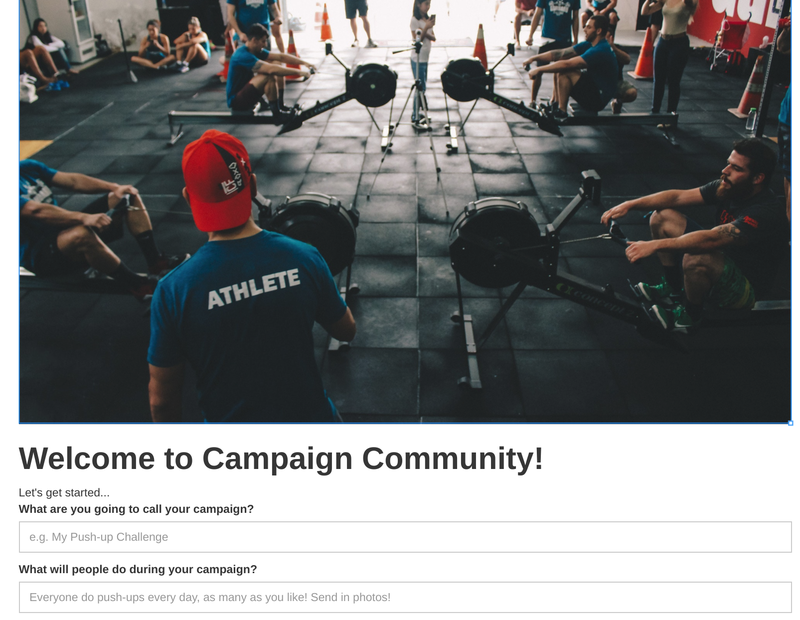 I'm proposing Challenge Communities as a fully-automated way for you to build and run challenge campaigns that truly engage people with content they'll love. How do Challenge Communities work? You set up the initial campaign. Give it a name, a description and a duration. Invite your first participants. E.g. call it "My 7-day Push-up Challenge", start it on January 1 and give basic instructions like "Let's do 10 push-ups (or as many as you like) a day, for 7 days! Sign up and tell your friends!" What next? You get an email saying how to modify and manage it. The participants get an invitation email and a few ways of inviting friends (sharing, emailing, or a sign-up page). 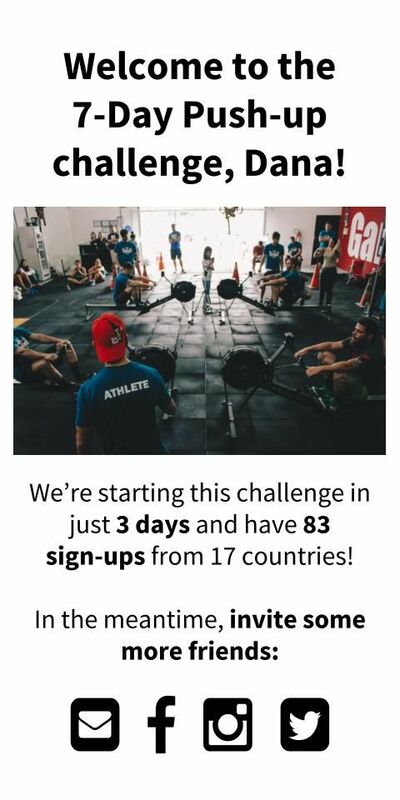 Before launch, everyone is emailed a message "Welcome to the 7 day challenge!" and tell participants a few things about who's involved. Day 1, everyone gets an email saying so. "It's day 1! Get doing those push-ups! And here are some photos of where you're going to do them." It then follows with photos of someone's rooftop in Estonia, someone's gym in Hong Kong and a few others. How much more engaging than just a series of instructions? Later that day, after people have done their challenge, they're asked to send in more photos to help and inspire others, as well as to offer comments of what's hard. I've been participating in and running challenges for years. For all kinds of industries - fitness, languages, education - from small websites to huge ones with hundreds of thousands of followers. They're fun and they're free. And for the owner, they're a great way to grow their email list with people interested in a specific topic, and to really engage with their audience. I just want something more - connection with people. And I don't want to sign in to Facebook or a new app just do that. It CAN be all done through email. If this speaks to you, let me know. I'm building a beta version and looking for test users. It'll be free during the beta period, after which it'll go up to $29 a month for professional users (and always free for non-profit or personal use).